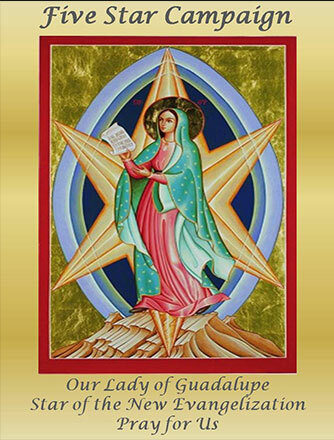 We welcome you to the webpage of Toronto, Canada Mary, Cause of Our Joy Chapter. These are exciting times that we live in and Magnificat was begun in 1981 for such as time as this. There are now over 100 chapters throughout the United States and its territories and in many foreign countries. There are multiple buildings on the property of the Veneto Centre. Parking for banquet hall is at THE RIALTO on the left side of the property. Following the birth of her daughter with developmental disabilities, Cathy and her husband soon realized the importance of advocating for their child and later, equally important, to teach their son the values and attitudes towards inclusion and acceptance. Entrusted with one of God’s most precious gifts, a child with special needs, Cathy’s daughter has shaped her faith in a most beautiful and profound way. Cathy’s passion is her family, her work and her quiet and humble relationship with Mother Mary. 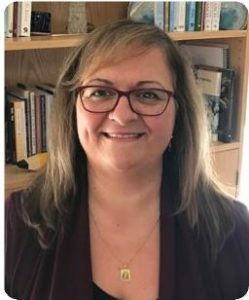 Follow Cathy’s faith journey as she shares about how her encounters with people have helped her recognize God’s guiding presence in her life. In the face of life’s many and unexpected challenges, Cathy experiences a peace that only God can give: a peace that sustains an inner calm, a peace that holds the hand of disappointment and deep sorrow, a peace that provides the strong assurance that God does create something beautiful out of the messiness of life. Women are welcome to come to the breakfast and learn more about how the Lord has been leading them in their journey. Priests will be available at the end of the testimony for anyone wishing to partake in the sacrament of Reconciliation. *For registrations by mail, include with your cheque your name, address, phone number, email and names of other guests you are registering. Registration is paperless. When you arrive at the hall, simply give your name at the registration table. Magnificat sponsors a Rosary Blanket of Prayer where, in response to our Holy Father, each chapter takes one day of the month for concentrated prayer, fasting, Eucharistic Adoration, rosary, etc. Of course, we are called to pray daily, but this day should be especially designated. It can be done individually and collectively, as possible. The intentions are for the Church, the sanctity of life, marriage & family, world peace, a New Pentecost and Magnificat. “Private prayer is like straw scattered here and there; if you set it on fire, it makes a lot of little flames. But gather these straws into a bundle and light them and you get a mighty fire, rising like a column into the sky” (St. John Vianney). a retreat. While at the retreat house, he came across Magnificat literature. women come together, as they often do so naturally, to share faith, to pray, to share their story. 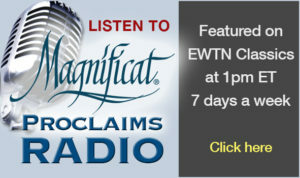 discern the feasibility of Magnificat. leading to the development and birth of the Mary, Cause of our Joy Chapter in Toronto. March 21, 1995 – March 28, 1995: Information & Prayer – Women representing various parish ministries gather for a presentation of Magnificat and to pray about the possibility of Magnificat for the Toronto archdiocese with a team based at St. Benedict Church. One week later, women regather and express support of this possibility. June 10, 1996: Fr. Harold Cohen, addressed the group of women who were present at the first and second meetings. Decision made at this meeting to enter the Discernment Process. January 13, 1997: Fr. Harold Cohen and Marilyn Quirk, address the ladies. The group decides to enter into a process to select five women to form the Service Team. involved in the early stages of Magnificat. May 31, 1997: Magnificat Meal at Buffalo Chapter– Eleven ladies from the parish attended this Meal. August 15, 1997: Bishop’s Blessing – Bishop Prendergast sends blessings on this spiritual enterprise. May 30, 1998: First Magnificat Breakfast – St. Benedict parish hall. Guest speaker Saidie Johnson. December 15, 2000: Registered as a charitable organization Business Number issued.